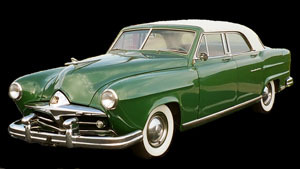 The Kaiser Frazer Owners Club, International was organized by nine individuals from Illinois and Wisconsin in 1959. They met in Chicago, Illinois with the idea to share technical knowledge and interest in K-F produced vehicles. An organization was then built around this concept for the benefit of those who own or are interested in Kaiser Frazer automobiles and their history. Join the group of members who share a passion for all things Kaiser Frazer and acquire the chance to share time, knowledge, and memories with fellow members. What does membership in the club include?